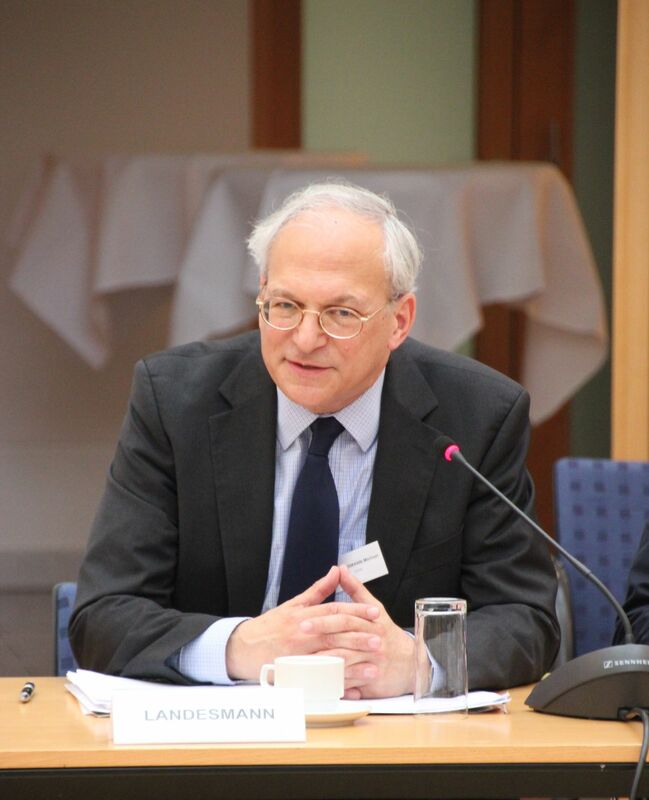 Michael Landesmann reflects on major structural changes having taken place in CESEE over the past 25 years of transition & shares his view of key developments of the decade to come. Let me start with some personal notes: I got involved in transition issues while I was still at the University of Cambridge (UK) during the eventful year 1989. During the 1980s I worked with a research team led by Professor Sir Richard Stone on multi-sectoral structural modelling of the European economy. With my background as a Central European, the events of 1989 were too exciting to miss. Along with some political scientists (John Dunne, István Hont) and the Polish Oxford economist Włodzimierz Brus we organised a two-year-long seminar series on the transition process at King’s College/Cambridge. Further, I became involved in projects coordinated by the Centre for Policy Research (CEPR) on developments in Central and Eastern Europe as well as in a series of projects for the European Commission. Finally, to this period also dates back my first contact with the Vienna Institute for Comparative Economic Studies (now, Vienna institute for International Economic Studies, wiiw) where I participated in a project led by its then Scientific Director Professor Kazimierz Laski for which I wrote a paper on industrial policy. The transition which was unfolding in Central and Eastern Europe (CEE) included many aspects: economic, political, social, and cultural ones. There were many things which I learnt from observing and analysing the transition processes in the CEE region and its impact on overall European integration. As an economist with an expertise on international economic integration and on longer-term structural change I shall focus on a sub-set of issues which led to certain research lines. One of the intriguing issues was to analyse the particular circumstances of a dramatic process of international integration between two groups of economies which were hardly integrated at all before but rather separated through the ‘Iron Curtain’. The additional features of this integration were, firstly, that the integration process proceeded very rapidly, i.e. with a ‘Big Bang’ of trade liberalisation and, in due course, financial markets integration. Secondly, it took place between groups of economies which differed strongly from each other in terms of overall productivity levels, historically grown economic structures (such as the relative neglect of the services sector in the previously socialist economies) and in other aspects as well (such as institutional, legal and behavioural features). Hence it meant to observe and analyse a rapid integration process amongst very ‘heterogeneous’ economies. The obvious way to analyse the integration processes was an application of bits of growth and trade theory. Growth theory has proposed models of ‘convergence’ and international trade theory models of international trade (and production) specialisation. Combining the two, we projected at a relatively early stage three likely features in the development of East-West European integration processes: (i) that we might see instances of very rapid ‘convergence’ processes (due to rapid market integration which would facilitate technology transfer and productivity catching-up); (ii) that EU accession prospects would play an important role in institutional and political-economic anchorage; and (iii) that there might be a lot of country differentiation as ‘convergence’ does not just depend on the ‘potential’ for catching-up but also on domestic institutional, behavioural and political adjustment processes facilitating or hindering the exploitation of such a potential. The dramatic process of ‘de-industrialisation’ in the first phase of transition combined with rapid productivity catching-up was likely to take a strong toll on employment in transition economies. The deep ‘transformational recession’ (a term coined by the Hungarian economist János Kornai) was the result of a very rapid systemic change in mechanisms of resource allocation combined with a very quick process of international opening-up (shifting demand initially strongly in the direction of imported goods and services), but there was also a sectoral adjustment process linked with it. The sectoral adjustment proceeded with an initial dramatic contraction of an ‘over-sized’ industrial sector combined with strong productivity catching-up; this led to strong contraction of employment and, when recovery from the transitional recession set in, to a phase of ‘jobless growth’. As the initially underdeveloped services sector grew, resources and employment shifted into that – relatively – labour-intensive sector and hence aggregate employment followed in most countries a ‘U-shaped’ pattern. The integration process was also one in which John Thirwall’s theory of BOPCG could be well applied. Catching-up economies which grow on a higher growth path than their more advanced trading partners are likely to run deficits in their trade balances. This would be true even if (income) trade elasticities on exports and imports were the same. But since the demand for higher-quality consumer goods and technology-intensive intermediates and capital goods was high in catching-up economies, income elasticities for imports were particularly high in CEE economies. Furthermore, real exchange rates were propped up by capital inflows based on an expectation of sustained higher income growth in CEE economies compared to the more mature Western European economies. Hence one could expect high deficits in the trade accounts in the early phase of transition. Again, differentiation across CEE economies could be observed. In the Central European economies (such as the Czech Republic, Slovakia, Hungary) this period of high current account deficits was used to utilise capital inflows in the form of FDI to build up export capacities and upgrade these rather successfully. In other economies (such as those in the Balkans), capital inflows mostly went into ‘non-tradable’ activities (such as real estate, retail trade, etc. ), high net import dependence continued and this led to a chronic deficit situation in the current accounts. Exchange rate policies and exchange rate regimes mattered and the CEE region almost represented an experimental field in which a wide range of such policies were executed and regimes were in place at different times. The choice amongst exchange rate regimes amounted in many instances to a ‘between Scylla and Charybdis’ situation. Choosing a flexible exchange rate regime meant that a country was exposed to the volatility of capital inflows which could lead to bouts of currency appreciation followed by depreciation, not necessarily driven by fundamentals, but often by volatile expectations, at times mistrust of national monetary policy authorities, and external developments (ECB policy etc.). Choosing a fixed exchange rate regime, on the other hand, could lead to a trend appreciation of the real exchange rate as exchange rate risks were perceived as non-existent, and this could make the economy uncompetitive, accentuating a long-term balance-of-payments vulnerability. Very often a period in which the country stuck stubbornly to a fixed exchange rate ‘anchor’ was followed by an exchange rate crisis which interrupted the growth process. An interesting aspect of transition was the development of a ‘Central European Manufacturing Core’ (see Stehrer and Stöllinger, 2014) which was characterised by a situation in which a sub-group of CEE economies which had previously faced the problem of ‘de-industrialisation’ now belongs to those economies in Europe with the highest share of manufacturing in GDP. The reason for this has been the development of strong cross-border production linkages (especially in automobile manufacturing, but also in other industries). This was an expression of the advantage of ‘vertical specialisation’, i.e. where countries or regions with different production characteristics (e.g. productivity and wage differentials, differences in skill endowments, in infrastructural characteristics) combined with rather good transport and logistics linkages can lead to firm strategies which ‘split up production chains’ into ‘tasks’ and execute these in different locations. The group of Central European economies greatly benefited from these cross-border production linkages and a principal worry in other lower- and medium-income regions currently is that such international production networks would not extend beyond the Central Manufacturing Core. Such persistent agglomeration contributes to sustained regional imbalances which also get reflected in macroeconomic external imbalances and a precarious position of ‘Europe’s periphery’. (i) Differentiation in country and regional developments will continue: from an economic point of view, the more advanced of the CEE economies have attained relative economic stability and are well anchored in European trade and production integration. There is still the aftermath of the financial crisis which has hit the banking system and there are lingering debt problems. Further problems arise with respect to political developments and attitudes towards European integration (on this below). However, the much bigger economic challenges arise in countries in Southeast Europe (the Balkans) as well as countries which make up the ‘buffer zone’ between the EU and Russia. Here the accession perspective is not settled (regarding the timing of accession for the countries in the Western Balkans, and for the other countries – Ukraine, Moldova, Georgia, etc. – there might not be an accession perspective at all). It has taken a long time for EU policy-makers to recognise the persistence of strong heterogeneity amongst its Member States as a major structural challenge for the EU and the EMU and we are still far from having developed the institutional and policy tool-kit to appropriately confront this issue. (ii) EU-Russia relations and the future of EU neighbourhood policy: The European integration process proceeded along rather idealistic and technocratic lines after 1989. It failed to take account of the fact that outside the EU, big (and at times regional) power politics still shaped (and will continue to shape) the bulk of international relations. This has become very obvious over the past years in the escalating conflict situation with Russia over the destiny of Ukraine and before that of other ‘buffer’ states such as Georgia and Moldova. The recent refugee crisis is another instance of the impact of power-political interventions in the Middle East and Northern Africa which has had significant spillover effects on Europe. It has become evident (especially after the failure of the ‘Arab Spring’) that the EU has failed miserably as a development engine for the part of its neighbourhood which has no accession perspective. It is still a little understood issue why being in the neighbourhood of a very large, rich entity such as the EU has had so little development spillover effects on the neighbourhood where the instances of collapsed economies and of failed (or fully disintegrating) states have multiplied. It is clear that the EU has to put a major effort into rethinking and reshaping its neighbourhood and development policies, on the one hand, and also to become a more serious (at least regional) player in international relations, on the other hand. (iii) Nationalism and the danger of European disintegration: Then there is the major challenge of a slump in popular belief in the capacity of the European integration process to contribute positively to economic and social security. There might be a temporary element in this as the drawn-out impact of the financial and economic crisis and its inefficient handling by European policy-makers is one of the reasons for this gloom. However, there is also a longer-run structural issue which is unlikely to be resolved in the near future: deep down it is the difficulty to shift a system of economic stabilisation, of social security and of distributional policies, which is well accepted at the national levels to some degree, to the European level. This – I would argue – lies behind the very incomplete policy-making and institutional structure of the EMU and the EU as a whole. One has to face the fact that such a shift will be required to put the European integration process on a stable basis. However, it would also be unrealistic to expect that this will be anything else than a drawn-out process. This also means that the integration process will suffer reverses – as we are witnessing now with developments in Hungary and Poland and in a series of electoral results and forthcoming electoral challenges in member and candidate countries of the EU. It is our responsibility as social scientists and economists to provide the appropriate political-economic analysis and suggest realistic policy steps which prevent a ‘tipping’ process towards regionalist disintegration in Europe.